Explore the lives of children all over the world and celebrate one of humanity's greatest achievements: written and verbal language. 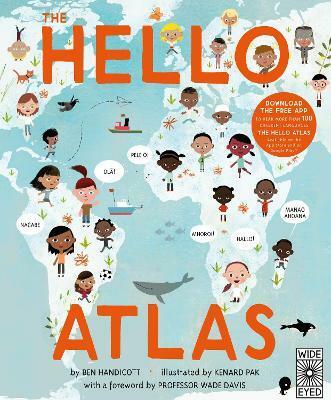 With fully illustrated word charts, featuring children depicted in their home country and doing ordinary things, learn about more than 100 languages, from well-known and lesser known indigenous languages that introduce us to some of the world's most remote communities. With foreword by ethnobotanist and explorer, Professor Wade Davis, this unique book comes with a free, downloadable app for iOS and Android that allows you to hear the phrases in the book, each recorded by a native speaker. KENARD PAK grew up in Baltimore and Howard County, Maryland. After studying at Syracuse University and California Institute of the Arts, he worked in feature animation and music videos. As a visual development artist, he's worked for Dreamworks, Walt Disney Feature Animation, PDI Dreamworks, and he currently works for Laika. His first illustrated picture book was published in 2014. His current picture book projects are self-penned as well as illustrated; the first book will publish in 2016. Kenard lives in San Francisco with his wife and three cats.